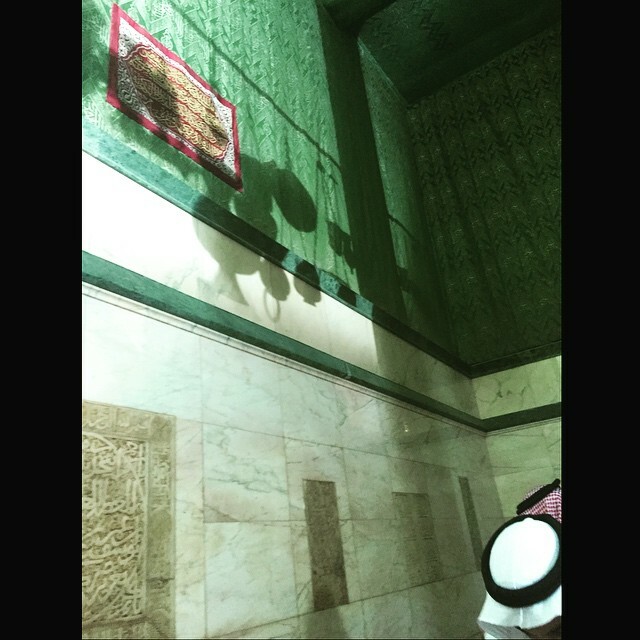 This is the corner where the Rukn Al-Yamani is located on the outside. 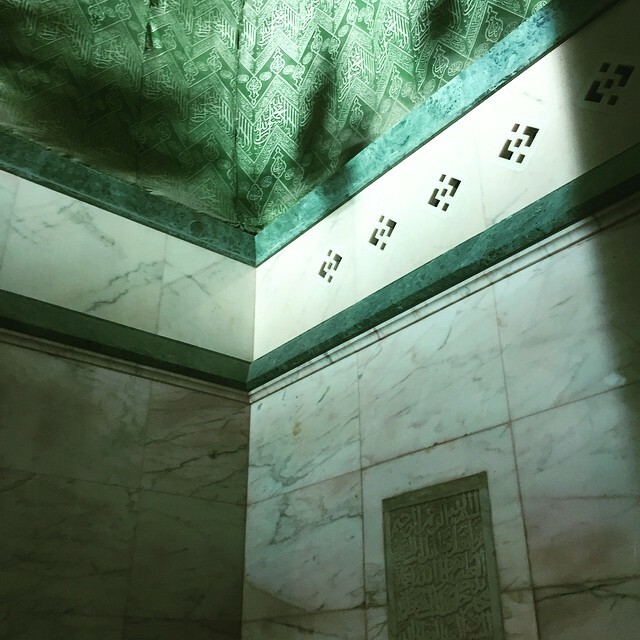 The calligraphy on the marble wall denotes the location the Prophet Muhammad (peace and blessings be upon him) prayed when he entered the Ka’ba. 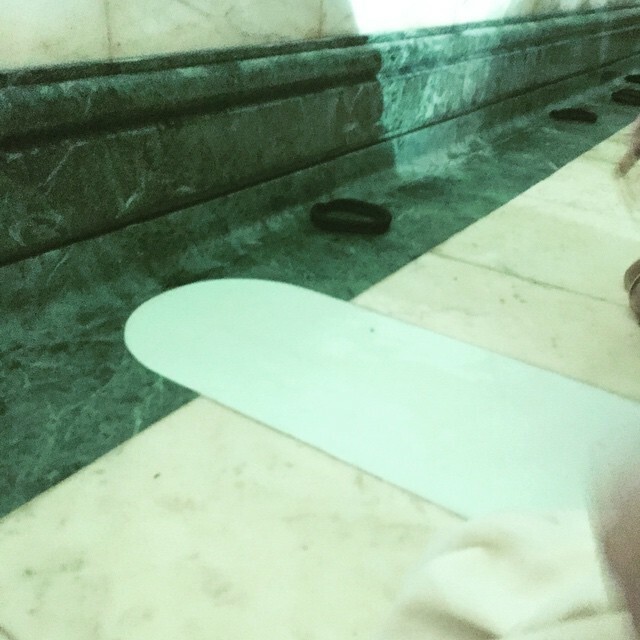 The marking on the floor shows the exact spot the Prophet Muhammad (peace and blessings be upon him) is thought to have prayed. 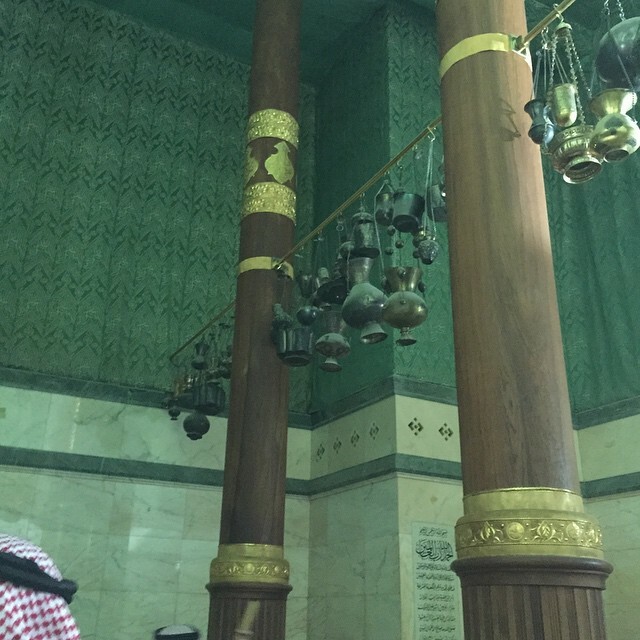 There are lanterns hanging in between two pillars in the centre of the Ka’ba. 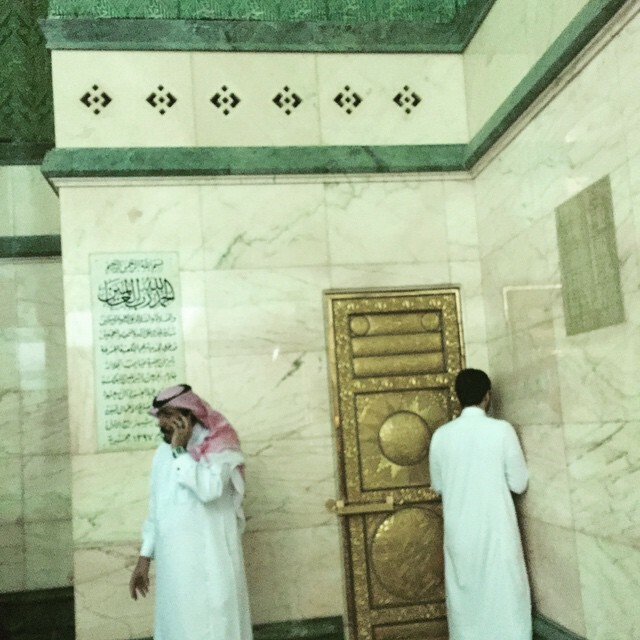 This door leads to the roof of the Ka’ba. 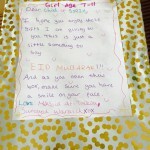 In the name of Allah, the most Gracious, the most Merciful. 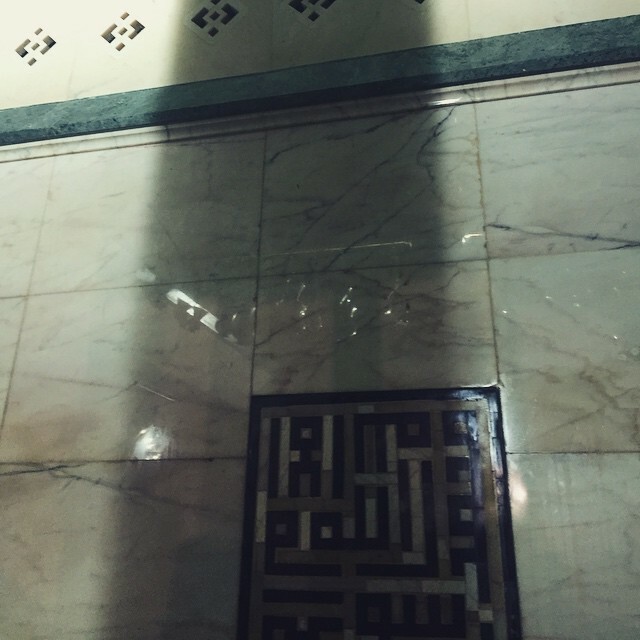 All praise is for Allah, lord of the worlds and may the peace and blessings of Allah be upon the most noble of messengers, our leader Muhammad and upon his family and upon all of his companions. 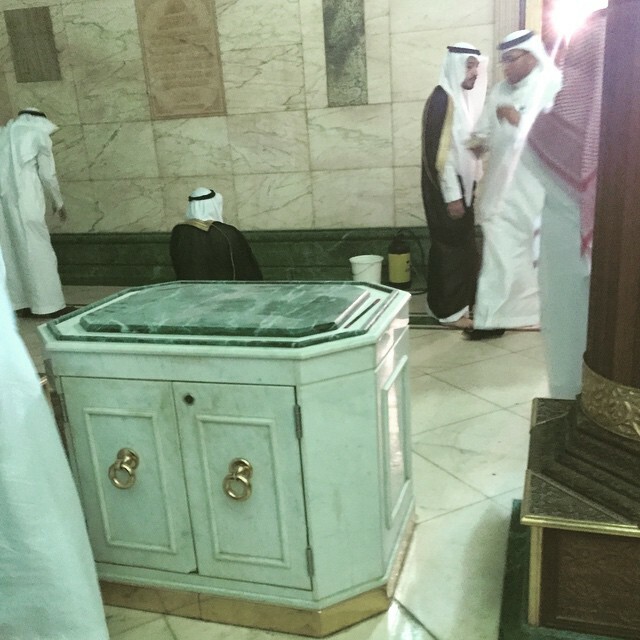 The renovation of the stairs of the blessed Ka’ba was carried out under the instruction of his eminence, custodian of the two noble sanctuaries, King Khaled bin Abdul Aziz Aal Sau’d in the month of Rabi’ Al Awwal, 1397 AH. 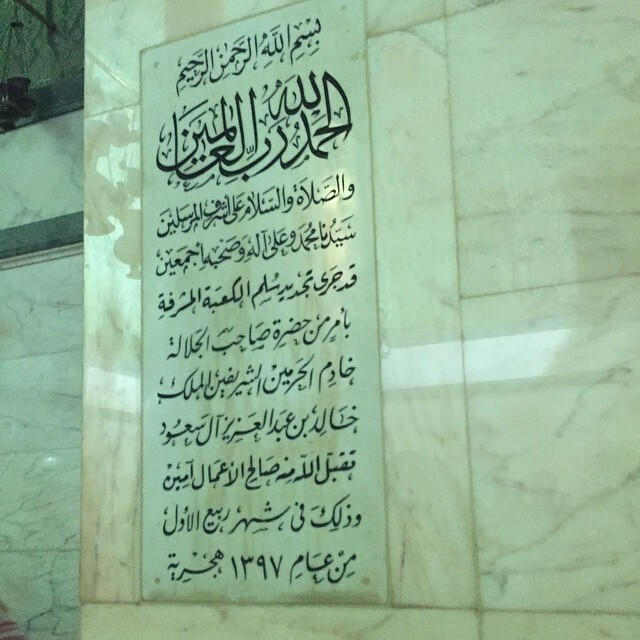 May Allah accept his pious deeds Ameen. 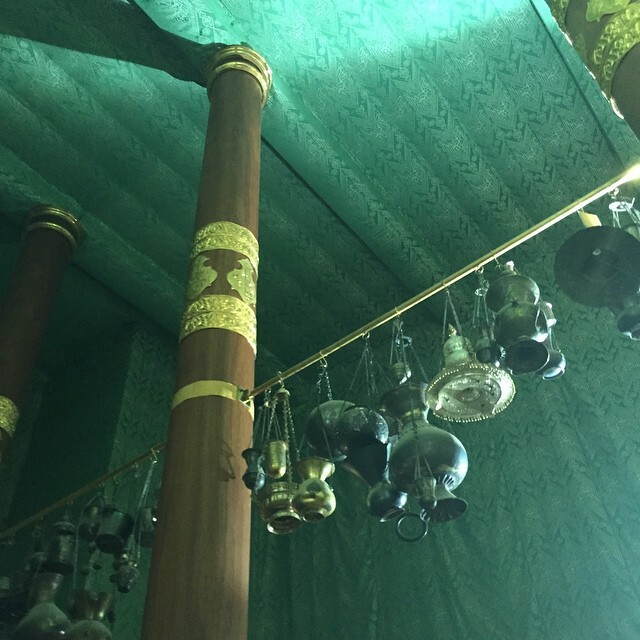 A table upon which Bakhoor (fragance) is placed.